Beneath the rolling green fields of the North Island's King Country lie the spectacular Waitomo Caves, one of New Zealand's most popular tourist experiences. Soaring limestone caverns, underground rivers, fascinating rock formations and magical grottos lit by thousands of native glowworms await visitors to Waitomo. 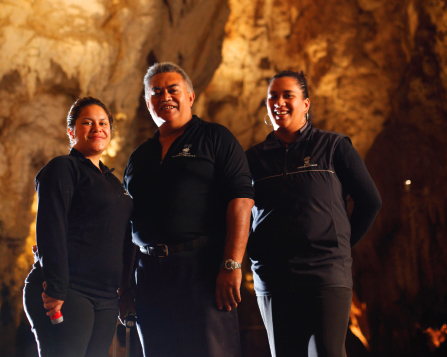 The Waitomo Caves have been drawing tourists since the late 1800s after the subterranean network was discovered by a local Māori chief. 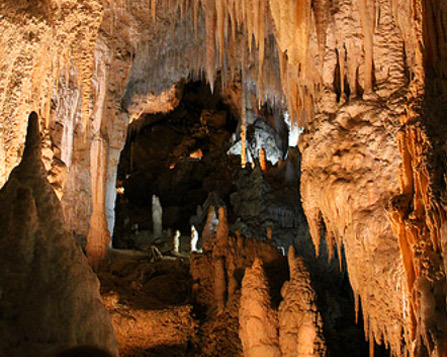 Today, thousands of visitors each year come to Waitomo to marvel at the incredible limestone formations and luminescent glowworms hidden in its depths. 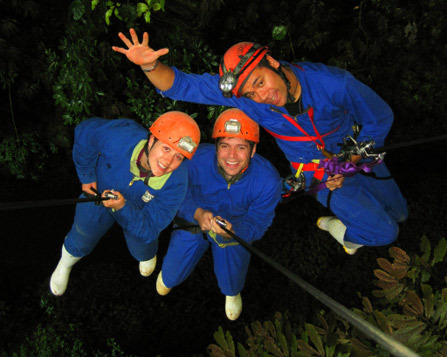 The more adventurous can also try cave abseiling and rappelling, black water rafting or caving. 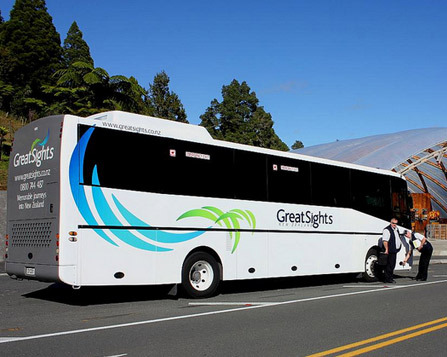 Sightseeing tours to Waitomo caves are available, with many including other nearby attractions, such as the famous Hobbiton movie set from the Lord of the Rings film trilogy, or the geothermal wonderland of Rotorua. Explore the region and discover why this unknown world is a national treasure.